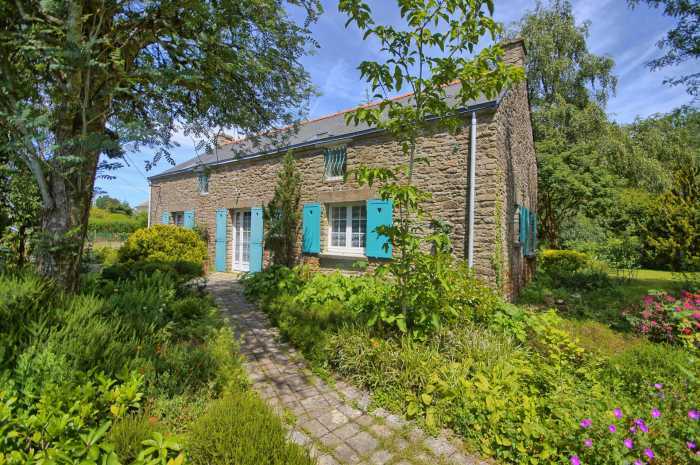 Set on the outskirts of the large village of Malansac, just a short drive from the well know touristic village of Rochefort-en-Terre, is the lovely 4/5 bedroom cottage set in over 2 acres of established gardens with a whole variety of different trees, shrubs and plants. 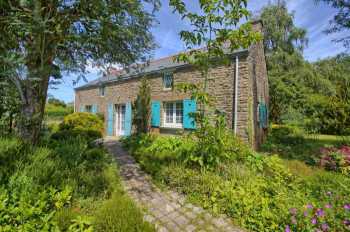 The house was built around 1920, renovated in the 90's and then modernised a few years ago. It now offers a large open-plan living room with lounge area around the feature fireplace, dining area by the large patio door onto the garden, as well as a modern fitted kitchen. There is also a downstairs bedroom, large shower room and a separate toilet. To the rear of the house is what could be used as a studio, study or 2nd downstairs bedroom with patio doors and a sink. This leads onto the boiler room. Upstairs you have a large landing, two normal bedrooms, a massive master bedroom (or games room if you wish) as well as a family shower room with toilet. If you love gardening and/or the nature but don't fancy living in the countryside, then this could well be the place for you. Fireplace, Double glazing. Sliding windows. Internet, Car port.